About a decade ago I came to the frightful realization that the church has potentially being more influenced by Augustine and Constantine than it has by the teachings of Jesus. Then after spending the last four years studying what the Bible teaches about the fate of those who reject Christ I came to the conclusion that Plato deserves a place a place alongside the other two aforementioned names as well. Recently, I decided that I would one day like to publish a book on heaven and hell which means that I have being in the process of acquiring as many books as I can on the subject of heaven and the new earth as I can get my hands on. 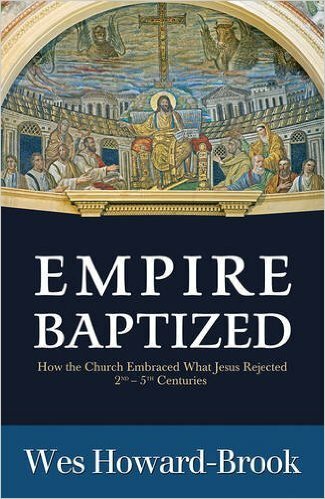 This is primarily why I jumped at the opportunity to review Wes Howard-Brook’s new book Empire Baptized – How the Church Embraced what Jesus Rejected (Second – Fifth Centuries). The book, while not at all being about what I was looking for did prove to confirm a lot of my suspicions regarding the enormous influence that Platonic thought has had on the church. Let me start by giving a basic run down of what the book is about. The author submits that there are ultimately two religions. 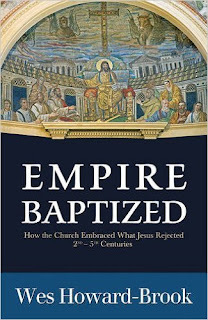 The religion of creation and the religion of empire; Empire Baptized documents the churches transition from the former to the latter between the 2nd and 5th centuries AD. It would certainly be beneficial to read Howard-Brook’s previous work ‘Come Out, My People’ which lays the foundations that this book is built upon, nevertheless he does share a neat little table contrasting the two 'religions' in Empire Baptized as well. Some of the contrasts would for example be that the religion of creation emphasizes the one God who is creator of the heavens and the earth, He is intimately involved with His creation and reigns supreme, the earth is the Lords and we are tenants in the land. Religious ‘obligations’ can be summarized in loving God and neighbor expressed in right relationship with them. The religion of empire however focuses on religious duties performed in sacred temples performed by the priestly elite. Serving God or the gods is done primarily through loyalty to the ‘empire’. Hierarchy plays a vital role and the land belongs to the kings and those who can afford to buy it or take it by force. 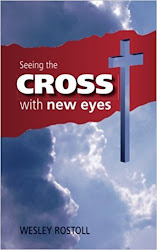 This is a well researched book and it opened my eyes to the fact that there were several key figures who all contributed to the gradual shift in the church that moved it from being a cross-bearing, enemy-loving and non-violent grass-roots movement to a sword wielding, materialized version of its former self. Ultimately, hierarchies lead to classes, which lead to abuses and oppression thus embracing an approach to God that had been rejected by Jesus. Focusing his attention on Carthage, Alexandria and the surrounding regions, the author has documented the impact that several historical figures have had on the church. From Marcion, to Clement of Alexandria, to Tertullian, Origen, Constantine, Ambrose and many others, we see a progression of thought as the church distanced itself from its Jewish heritage and identified more and more with Greek philosophy, Gnostic thought which separated the physical from the spiritual and imperialism first on an ecclesial and later at the political level. This book paints a far different picture of the early church fathers than what one might be familiar with. I was surprised to learn of Marcions role in getting Paul’s epistles canonized and dumbfounded by the more Gnostic than Christian contents of Clement’s writings. I was surprised to learn that even those who were persecuted by the state generally held high positions in society and were financially backed by wealthy ladies and how supercessionism contributed to the new way of reading the Bible to the point that even in those early years the Scriptures would have been read and interpreted through a very different lens to the one the New Testament writers themselves would have used. On the negative side, the book sometimes assumes a prior knowledge on certain topics which means that it’s probably not meant for beginner students. Some huge claims are sometimes made such as that the pastoral epistles to Titus and Timothy were fraudulently written in the name of Paul, these are big things to say and I wish that he spent a little time unpacking such statements, the end notes that I did find on such matters were hardly satisfactory. As a whole though, I thoroughly enjoyed reading this book, I love church history and I love theology and there are not enough books out there which document how the former has shaped the latter. I would recommend it to anyone who has similar interests. You can visit the authors website by clicking here or purchase a copy of Empire Baptized by clicking over here. Once a Christian takes the position that "pastoral epistles to Titus and Timothy were fraudulently written in the name of Paul," suddenly all the books of the Bible itself are susceptible to being viewed as frauds. If there is no definitive Divine Revelation in written form, then there is no definitive church, no definitive Gospel (Good News), no definitive Great Commission, no definitive evangelization, no definitive discipleship, no definitive anything. Suddenly I am reminded why throughout its history (including the present time) so many Christian people have hated and rejected the Anabaptist movement. I have learned a great deal of value from Anabaptist writings, but I want nothing to do with people who assert that some of the books of the Bible are frauds and fakes on par with Joseph Smith, Jr.'s notorious fake Book of Mormon. If the canon of the Holy Scriptures is not definitively known, then nothing about God and Christ is definitely known, and all we are left with is some sort of New Age Esoteric Gnostic type of idiosyncratic personal religious practice and belief.